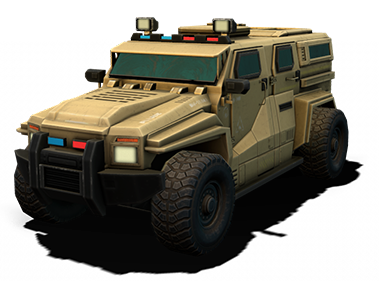 This Package contains a 3d model with two variation of the Hummer Police APC. Both the model are Game-Ready with high Quality PBR Texture. 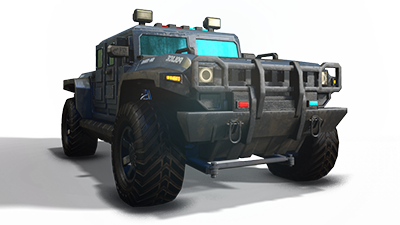 Both the vehicle are ready to animate with detached wheel. This package contains the script for controlling the siren/sound/lights. 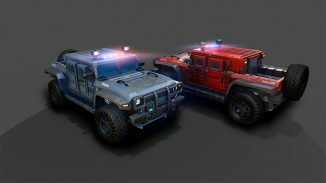 You can toggle ON/OFF the siren by pressing ‘P’ on your keyboard. 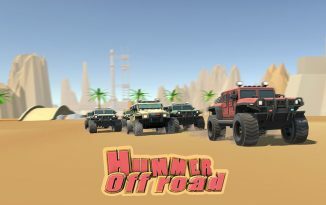 This Package contains 6 variations of Hummer vehicle Plus+ 3 Bonus Vehicles with Two variations each and a collection of terrain assets including the whole game environment as shown in the Demo Video. 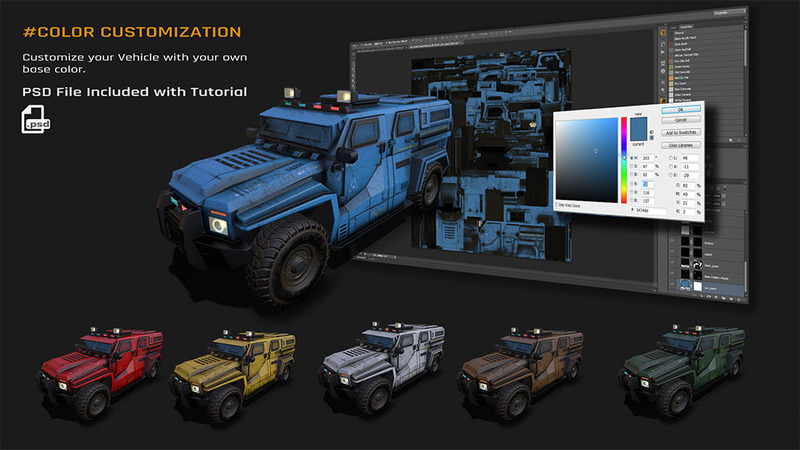 Greetings Everyone this month we’re giving 80% Discount on our PBR APC Military Vehicle Game Asset. Grab your copy Now for only $1! if not applied Use code april80 to get the offer. 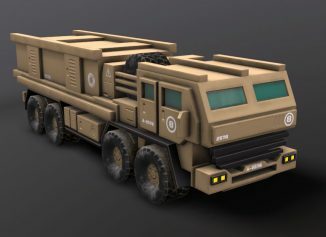 This package contains a Military heavy transport vehicle (low poly) ready to add to your game. You are free to use in any of your game project. Note: This Asset required Password to unlock. Please Subscribe to our newsletter to receive your password. 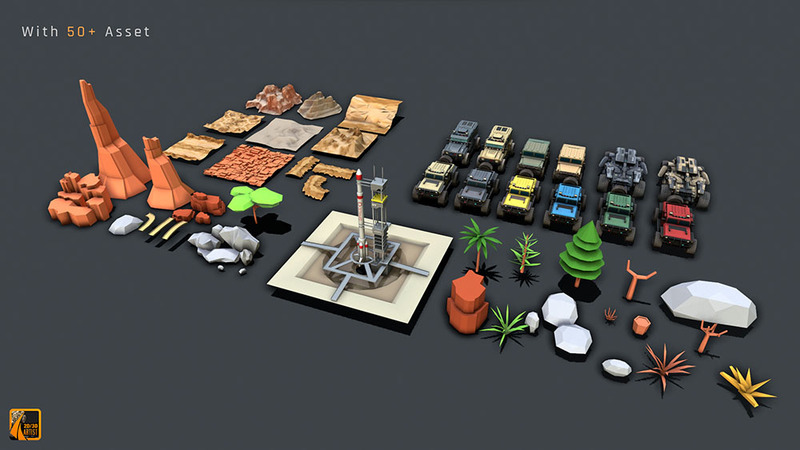 This asset has been Completed you can now download for free. 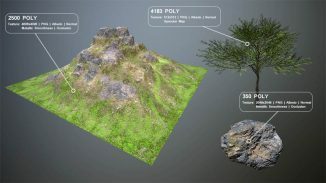 This package contains a Free high quality Mountain Terrain, Rocks and tree (low poly) with PBR texture ready to add to your game. Just need to drag and drop them to your scene. You are free to use in any of your project. You are free to use this asset for both personal and commercial project.But you are not allowed to resell or reproduce any part of this product. This task has been completed. You can download the file now. Enjoy! 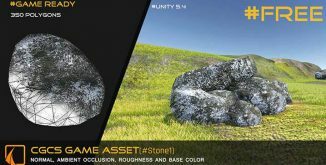 This Game asset include a low poly stone which is a game ready object and can be use in any game engine like Unity, Unreal engine. 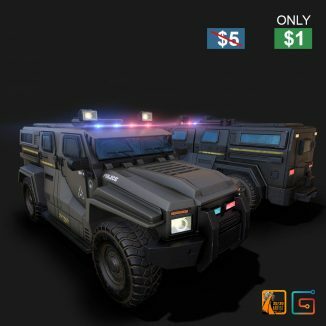 You can get the Asset for FREE by enter $0. You can also consider donating with any amount, if this was useful for you. Thank you! ©2019 CG Creative Sets All rights reserved.